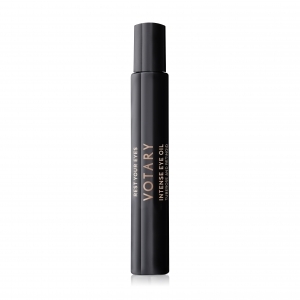 Introducing NEW Votary Intense Eye oil. The skin around our eyes is sensitive and delicate. It’s the first place to show when we are tired, with dark shadows or puffiness, and it’s also the first place to show signs of ageing, with fine lines and a loss of firmness. It can be hard to find a product that both addresses all those issues and is comfortable and soothing to use. That’s why I’m thrilled to be launching Intense Eye Oil, Votary’s first specialist eye oil, as part of our Intense Night range. It’s made from a powerful blend of natural plant extracts and oils, and is boosted with a gentle oil-soluble retinoid which means it’s brilliant at smoothing away fine lines while you sleep. 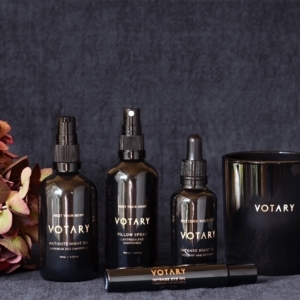 Votary Intense Eye Oil is packed full of wonderful, naturally active ingredients. Tuberose extract firms and brighten, sweet iris encourages cell renewal, and acmella gently tightens and lifts. Clever retinoid boosts collagen production, and you wake to brighter, firmer skin. I also love the beautiful, chic applicator. The black glass vial contains a cooling roller ball which dispenses the right amount of product in just two soft sweeps around the eye socket. Then, you gently pat the oil into the skin, paying particular attention to dark shadows and fine lines. While you sleep it will revitalise and rejuvenate the whole eye area. Launched on September 1st, our Intense Eye Oil has already received brilliant reviews from press and beauty bloggers, and is on its way to becoming another cult product in our range. I hope you love it! Watch my Intense Eye Oil Video here. 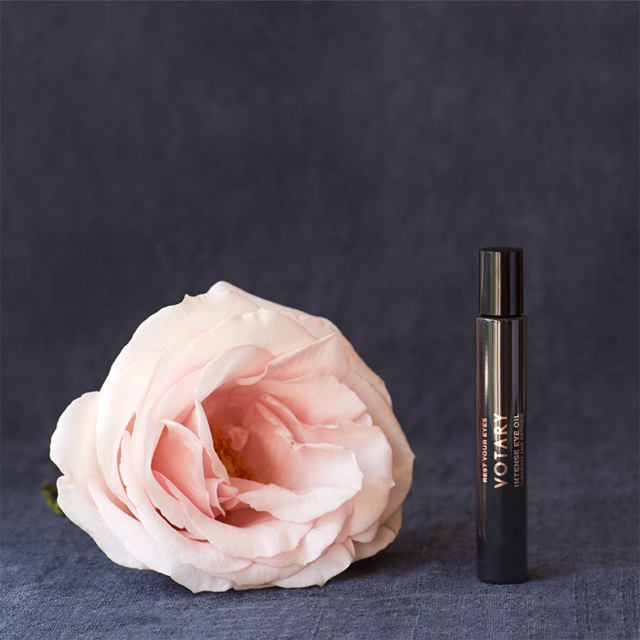 Read what Get the Gloss has to say about Intense Eye Oil here.